Yes, it does, doesn't it? Post here about financial issues, including pensions. How can I open an account in UK to save enough to buy Bonds when needed with my UK pension to save changing to AUD from GBP's and back again? Let's see if I've understood this - you live in Australia and want to open a UK bank account. Is that right? If so, you'll probably find it very difficult. Banks in the UK will normally expect you to be resident in the UK. There might be ways around it, but the anti money laundering laws these days make moving money around more difficult than it used to be. 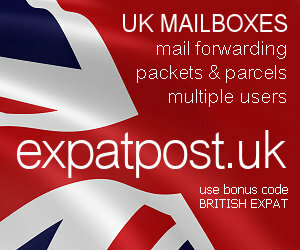 Are you a British expat? If you are you could explore the possibility of opening an offshore account in sterling. However, if you are now an Australian, then the offshore option is unlikely to be open to you. I'm not a banking expert but that's how I see it. Perhaps someone else here has better knowledge than I do. Good luck. I still have my (out of date)British passport.Have they changed the likes of that?Thanks,Nosher. I agree! These tough anti-laundering laws are a huge inconvenience to the average person and the big boys will always find ways around them. But that's the system we have to work within. What I meant by asking if you're an Australian was just to establish if you'd emigrated some time ago, now have Australian nationality, and can no longer claim to be British. Since you have the dual nationality - and can still claim to be British - I expect it'll be slightly less difficult to open a British bank account. We were overseas for a long time and found it extremely difficult to open a UK bank account until we were actually back on the ground with residential status and a UK address. I hope someone else might join in with some advice because we faced similar problems of being British, living elsewhere, and not being able to open a UK bank account. I'm not saying it can't be done, only that we couldn't figure out how to do it. Sorry that's not the answer you're looking for. It's only our experience. Maybe someone else will have something more encouraging. Does Oz allow you to hold an account in sterling as well as your AUD account? If so, get your UK pension paid into it in sterling and only transfer what you need into AUD. There must be several ways to hold a sterling account, but the real trouble will be that you can't get your pension payments split. Do they arrive in Oz in sterling, or are they already converted to AUD? Thank's for the reply ruggie,that will be my next port of call.I haven't had any payment's made to oz,as they have stayed in uk with a brother.Now even he can't deal with the blockout!.Visor down and into battle. Kay wrote: What I meant by asking if you're an Australian was just to establish if you'd emigrated some time ago, now have Australian nationality, and can no longer claim to be British. If you're a British Citizen by birth, the only way you can lose your citizenship is by writing to the Home Secretary to renounce it. The UK allows multiple citizenship. Some countries don't, and may insist that you sign a declaration that you've renounced your British citizenship as a condition of obtaining their citizenship (or continuing to hold it, if you're entitled to it by birth). Under UK law such declarations to other governments don't affect your status as a British Citizen - you'll retain all your rights and obligations as far as HM Government's concerned (although under the law of your other country it may well be illegal to exercise them, eg by trying to enter that country on a British passport). Thank's Dave,Here's the latest from ns&i Blackpool . followed by I am sorry this is not a more favourable reply. !!!! Cameron open for business. is a cheque drawn on an acount in Isle of Man , Channel Islands etc permitted ?